LOVE/HATE, WHAT Richard Did and Mad Men all feature in RTE’s new autumn schedule which was announced this afternoon. At the launch, station bosses emphasised that they were trying to create a distinct separation between RTE One and RTE Two and create a clear identity for each. Managing Director of RTE Television Glen Killane said the broadcaster was taking a “more targeted and focused approach” to defining the channels. Among the new shows on RTE One will be an entertainment series which will see see 2FM presenter Hector Ó hEochagáin travel to Northern Ireland for the first time and Des Bishop visit China where he will try to deliver a comedy show in a language he doesn’t speak. Love/Hate, one of the biggest success stories of RTE in recent years, will return for its fourth season. RTE One will also air Quirke, a thriller about Gabriel Byrne as a pathologist-turned-detective in 1950s Dublin. A documentary on surrogacy will look at the stories of people who are trying to use surrogate parents – or act as surrogates themselves – in a bid to have children, while My Lockout will look at the biggest labour dispute in Irish history which marked a turning point in Ireland’s politics. The station will also have premieres of films What Richard Did and The Guard. The Voice of Ireland and popular satirical show Irish Pictorial Weekly will each return to the small screen while Sinead Kennedy is to join Marty Whelan as the presenter of Winning Streak. On the lifestyle front, Mairead Farrell will host a show on finding the fittest family in Ireland. There’s no change at either The Late Late Show or The Saturday Night Show which will continue to be presented by Ryan Tubridy and Brendan O’Connor respectively, while Morning Edition and Prime Time will be the flag ship news and current affairs programmes on the station. Channel controller for RTE Two Bill Malone said the station will focus on providing programmes for people aged under 35 and promised it would champion “rising stars, new comedy, new music, new formats and new ideas”. Broadcaster Maia Dunphy will present a new series looking at issues affecting women in Ireland nowadays while Republic of Telly stalwarts Damo and Ivor will have their own new comedy-drama with a cast that includes Rik Mayall. Some of the more unusual additions to the line-up include My Best Shot, a studio dating game show, Vogue Does Home and Away, presented by Vogue MacFadden, and Oi Ginger! which looks at red-headed people in Ireland. Don’t Tell the Bride and The Mario Rosenstock Show will both return, as will Republic of Telly, with new presenter Kevin McGahern. Mad Men, Revenge and Homeland will all return to RTE Two in the autumn. The broadcaster has been in cost-cutting mode for some time: in its annual report published last week, RTE vowed to try to break even in 2013, even after reporting a net deficit of €65.2 million last year. A total of 270 staff left RTE in 2012, with employee numbers now 21 per cent below what they were five years ago. 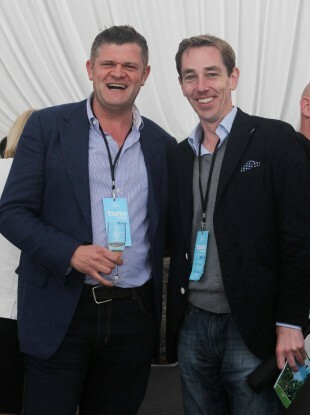 Email “Love/Hate, Mad Men, and Tubridy: RTE announces its new schedule”. Feedback on “Love/Hate, Mad Men, and Tubridy: RTE announces its new schedule”.